Arbitration is a dispute resolution process that provides an impartial way to resolve disputes without having to take court action. Our arbitration service is internationally recognized, upholding the sanctity of contracts and promotes good trading practice, with the ensure of settling the disputes as quickly as possible. 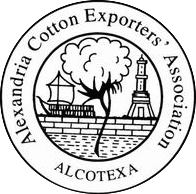 Any disputes that may arise between cotton exporters and buyers is led by our arbitration process regarding cotton variety, grade or terms of contract.